Especially in the United States and Europe, businesses changed dramatically during the second industrial revolution. In the period from 1870-1914 innovations like the internal combustion engine, electric light, and the production of steel contributed to a period of accelerating industrialization: the expansion of rail and telegraph lines improved access to markets and lowered costs for the movement of parts and finished goods; new, efficient methods of production made the process of turning raw material into a finished product faster and more efficient. This same period saw the introduction of management consultants who helped company leaders adapt to the demands of scale and the changing business landscape. Even before World War II and through the 1940s, a handful of firms were in the business of recruiting executives. Executive Manpower, run by William Hertan, and eponymous firms established by McKinsey & Company veterans Jack Handy and Ward Howell, and by Booz, Allen & Hamilton alumnus Sid Boyden, all recruited executives for client companies. In fact, Thorndike Deland arguably formulated the concept of executive search back in 1926, when he founded the first retained executive recruiting firm. Businesses jumped on the opportunity to expand their reach, and in a departure from the tradition of developing and promoting mangers from within, business leaders more frequently sought skilled, experienced executives from outside their organizations. 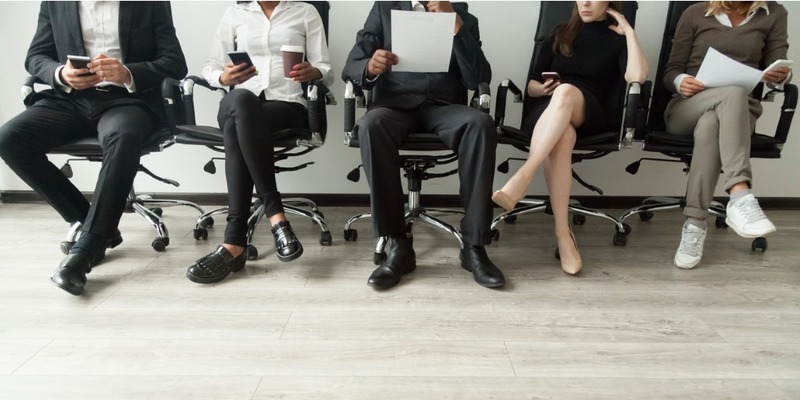 Economies were heating up, business was booming and as demand for talent grew, retained executive search became a familiar and valued part of the business advisory landscape. But with increasing numbers of people entering the profession, some of the leading firms understood they would need to set themselves apart from the burgeoning field, and establish a standard for those firms and consultants who would aspire to join the elite ranks of best-in-class retained executive search firms. In the fall of 1958, several leaders of the most prestigious executive search firms gathered to “take steps to raise standards of the emerging professional field of executive recruitment by establishing a non-profit membership association in which only competent and ethical executive recruiting firms could qualify for membership.” The Association of Executive Recruiting Consultants (AERC) was incorporated on December 18, 1959. AERC was established for the dual purposes of creating a professional association for the most competent and reputable search firms, and for providing clients and prospective clients a means by which to differentiate qualified and ethical practitioners. The association would become a hallmark of quality and integrity. To develop, maintain and enforce high standards of ethical professional practice and rigorous membership requirements, which will make membership in the Association a recognized mark of experience, stability, competence, and reliability. To develop and improve the practice of executive recruiting. To provide a fuller and wider understanding of the function of executive recruiting in our economy. To gather and maintain factual information about executive recruiting firms. To establish and enforce a code of conduct and practice which will further the objectives of the Association. The Association’s founding firms were among the most respected names in the business and were quickly joined by young firms that have grown to be industry leaders today. AESC’s President and CEO Karen Greenbaum explains, “The leaders on AERC’s early boards were pillars of the profession: Spence Stuart, Gardner Heidrick and Russ Reynolds were all on the Board. Russ Reynolds was on the board representing William H. Clark Associates, and again after he formed his own firm. By 1974, members included Boyden, Heidrick & Struggles, Russell Reynolds, Korn Ferry, Ward Howell and many other leading firms. The standards, ethics and values embraced by these firms became the foundation of the association. William H. Clark’s company subscribed to a code of ethics that precluded competing assignments, approaching an employee of a client firm, and making false statements for “research” purposes. In that same vein, Russell Reynolds Associates stressed a highly collaborative “one firm” culture based on shared values. Each founding director committed to “the highest standards of competence, objectivity, and integrity” which informed the rigorous selection criteria and the principles agreed to by members. One of the very first actions of the new board was to ratify a Code of Ethics that the founders had developed in advance of the Association’s incorporation. The AESC Code of Professional Practice has evolved over time, and since the inception of the Association has served to elevate the professional practice of executive search as well as enhance the public perception of retained executive search and the Association. In a 1974 general statement to the board of directors, AERC executive director John F. Schluter expressed frustration at the inward focus of the Association and reiterated the urgency that the expanding profession have an “elite group” that is “immediately recognized as representing the best qualified and most professional firms in the business,” as well as the need to “establish for once and for all a clear mark of distinction that membership in AERC hold for the industry.” At the same time, the Association became active in thwarting potential legislation to lump the growing profession with employment agencies, which misunderstood the service provided by search firms, and would impose unnecessary restrictions. In the years ahead, AERC concentrated its efforts on maintaining and publicizing the Association’s high standards and developing its legislative influence to protect the profession from unnecessary regulatory interference. Indeed, the importance of clients, candidates, regulators and the general public being able to discern retained executive search from other employment-related services has remained vitally important. The early 1980s were an important time in executive search and for AESC. Several high-profile CEO engagements by Heidrick & Struggles’ and 1995 AESC Lifetime Achievement Award recipient Gerard Roche, including placing John Scully at Apple, and Stanley Gault at Goodyear, raised the visibility of the profession, and the period saw a dramatic expansion in executive search. In 1994 AESC’s Board of Directors convened a Special Task Force on Diversity to identify ways by which member firms could further increase the diversity of their professional staffs. Finding that women and minorities were under-represented at the partnership level in AESC firms, the report suggested a growing awareness of and commitment to diversity throughout the search industry. The next decades saw continued expansion in executive recruiting, especially cross-border activity, which led AESC to establish the AESC European Council in 1996 and the Asia Pacific Council in 2004. At the same time that AESC was establishing the Asia Pacific Council, businesses worldwide were experiencing digital transformation. The World Wide Web became publicly accessible in 1991 and by 1999 almost every country had a connection. According to the World Bank, in 2000, 6.743% of the world’s population used the Internet. That figure rose to 45.794% in 2016. According to GSMA, the trade group representing mobile operators worldwide, there were five billion unique mobile subscribers in 2017, representing two thirds of the world’s population. In recognition of the expanding role of member firms AESC embraced leadership consulting in its identity, and in 2014 changed the name of the organization to the Association of Executive Search and Leadership Consultants. By 2017, global executive search and leadership consulting revenues would grow to $14 billion. New industries, new functional roles, a new generation of digital natives entering the workplace and the digital reshaping of traditional positions upended business as we know it, and AESC members were charged with helping clients meet a growing demand for executives with the knowledge and experience to lead bet-the-company digital transformation. The core purpose of the executive search and leadership advisory profession is centered on helping corporate leaders assess, advise, and build their executive leadership capabilities. When search was in its infancy, corporate leaders faced a period of great change: developments in transportation were expanding markets, advances in science and engineering were dramatically altering products and processes, and top executives with the skills and experience to build on the opportunities of the moment were scarce and hard to find. Today, organizational leaders face similar challenges: disruption, rapidly evolving technology, shifting economic forces, and fierce competition for the best talent in a world of accelerating change. Much like the early years of the organization, today AESC member firms partner with their clients to address their most urgent business needs with future-ready skills rooted in a commitment to ethics and client service. For example, 20 years ago a client may have needed an executive with functional experience in the financial services sector. Today, that client may need an executive with those qualifications as well as experience successfully establishing a mobile payment system. Today, clients are looking to search firms for counsel on a broader basis, including assessing leadership teams, advising boards on their effectiveness, succession planning and culture shaping. The profession, just as the industries it serves, now requires much more agility. In a fast-paced, ever-shifting business climate accelerated by technology, we have to be at the forefront to best serve our clients with expert advice and insights. “We’ve expanded our business to reflect that client need,” she says.